A Ghost in the Music. New York: Holt, Rinehart and Winston, 1979. First edition of Nichols’ fifth novel. Octavo, original cloth. Signed by John Nichols on the front free endpaper. Fine in a near fine dust jacket. Jacket design and illustration by Neil Stuart. 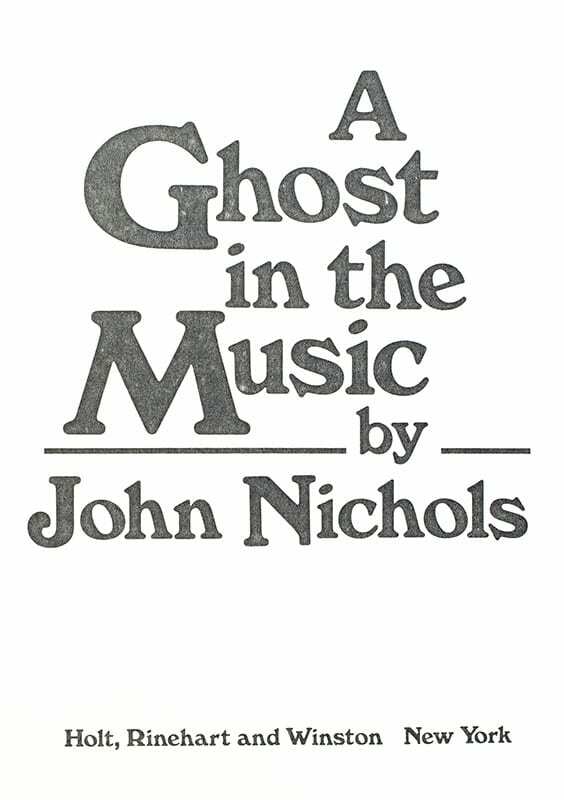 Tender yet funny, A Ghost in the Music is the very human story of two people probing the ambiguities and limitlessness of love. "Author John Nichols seems to be soaring on a unique blend of humor and sadness toward a new dimension in American fiction" (New York Times). The Voice of the Butterfly. First edition of Nichols’ modern tragicomedy. Octavo, original half cloth, pictorial endpapers. Signed by John Nichols on the title page. Fine in a fine dust jacket. Jacket design by Vivien Sung. Cover illustration by Melinda Beck. New York: Holt, Richard and Winston, 1981. First edition of the final novel in Nichols’ New Mexico trilogy. Octavo, original half cloth. 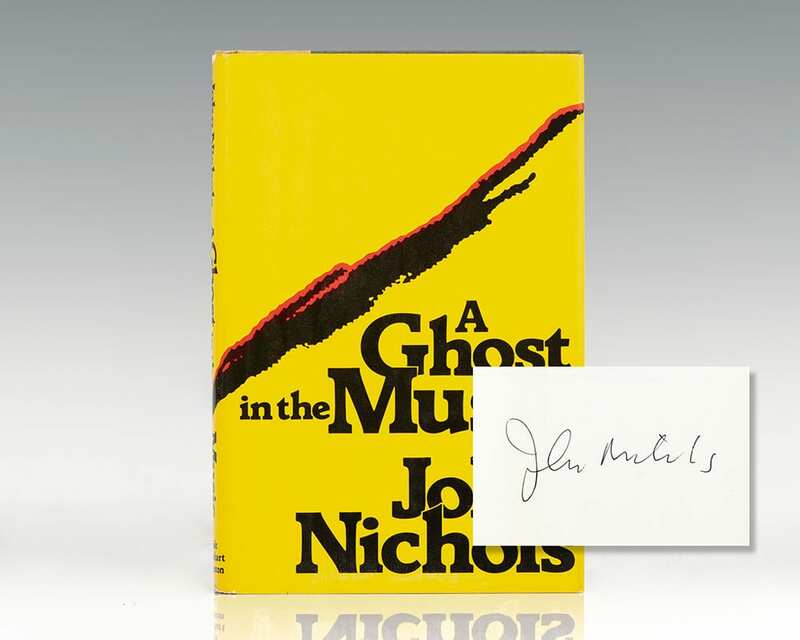 Signed by John Nichols on the title page. Fine in a bright near fine dust jacket. Jacket design by Paul Bacon. A sharp example.